This Lamp Is Part Of A Collection That Is Relaxed, Comfortable And Pure With A Focus On Light Color And Metallics. Tonal Whites, Neutrals, Soft Gold, Silver And Copper Hues Dominate This Sensibility. The Collection Also Makes Use Of Interesting Textures, Such As Soft Wood Grain Surfaces, Light, High Gloss Finishes, Natural Tones And Monochromatic Patterns With Organic Shapes And Modern Designs. 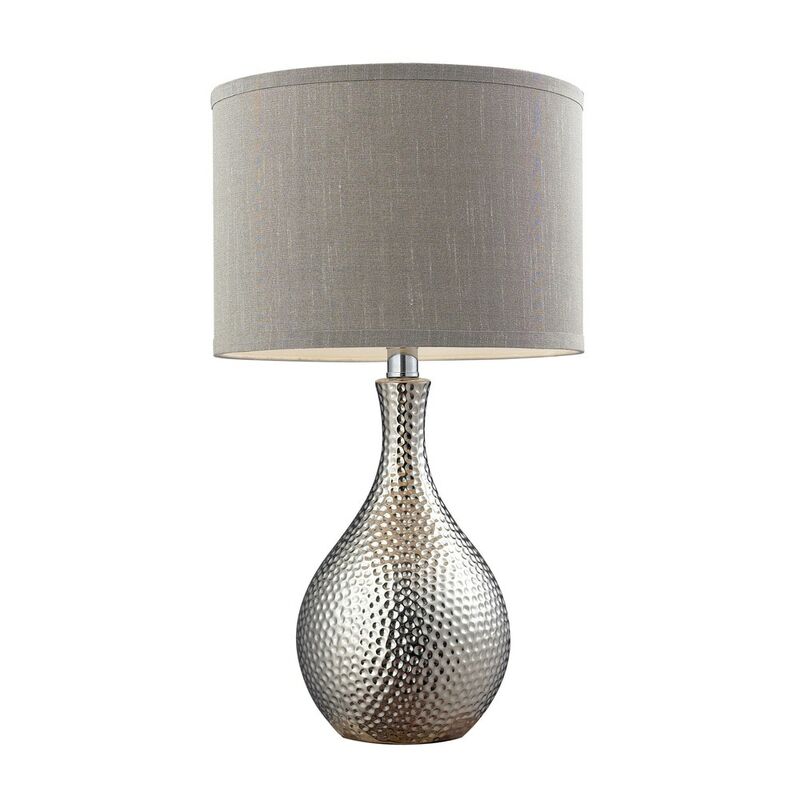 The Hammered Chrome Plated Ceramic Table Lamp Is Topped With A Round Hard Back Shade In Grey Faux Silk With A Grey Fabric Liner. The Base Measures 12"W X 12"D X 22"H With Shade Measurements Of 12''W X 12"D X 9"H. The Fixture Uses One 60 Watt Medium Bulb With A Line Switch.